Launched earlier this year, the Professional Medical Center Asthma Project invites any resident living in Oakland or Wayne County suffering from asthma or allergy symptoms to take the ImmunoCAP test. The test can be administered at any one of Professional Medical Center’s five multi-specialty medical practices and enables the doctors to diagnose and suggest appropriate treatment for asthma patients. Patients are educated about the connection between asthma and allergies and how they often occur together. Professional Medical Center kicked- off the campaign by mailing information about the ImmunoCap test. Patients also received a small care package that includes a cover for their inhaler and a pack of Kleenex. As an added incentive to taking the test Professional Medical Center will provide a $5 Target gift card to anyone that visits their medical centers and opts to be tested. The test is open to adults and children with asthma. For more information about Professional Medical Center, please visit www.professionalmedicalcenter.org for a list of locations and/or call their offices at (313) 925-4540. 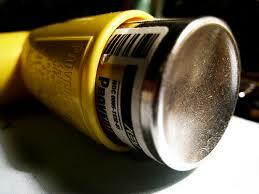 Asthma is a really dangerous disease as it can choke the breathing process that could end up in death of a patient. So the first and foremost thing is to diagnose the disease as soon as possible. And for that this instrument has been invented. I appreciate what you said about the common allergens that trigger asthma attacks. I believe that asthma should be treated properly. If I were to need such services, I would make sure to find a reliable medical center.